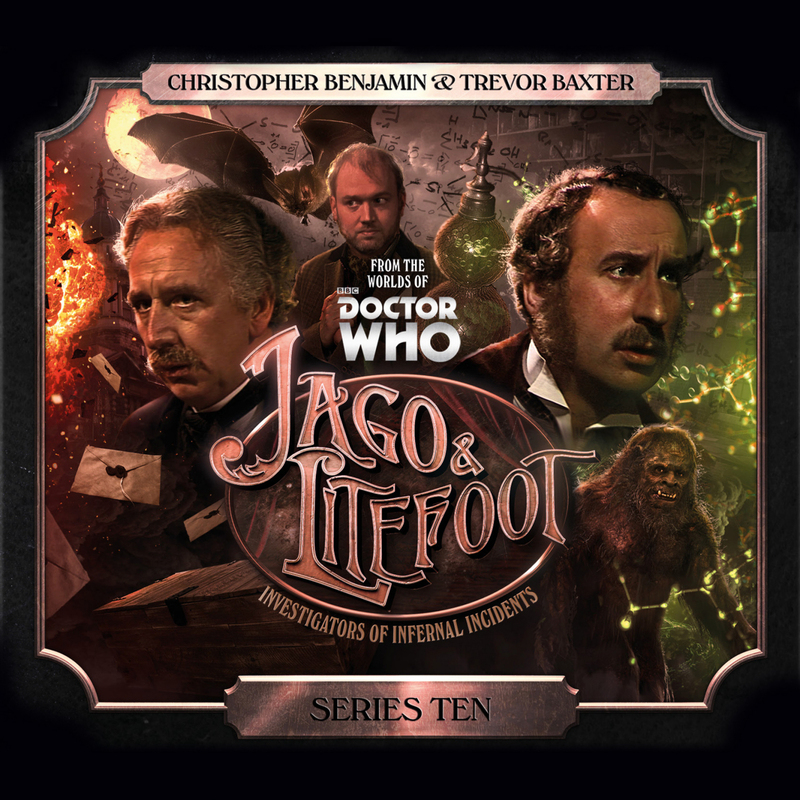 I’ve already reviewed Jago & Litefoot series 10 on Cultbox; this is a more extensive review that goes deeper into the stories and has a bit more in the way of spoilers. Series 9 gave our heroes a sea trip to remember and introduced the character of Dr Betterman (David Warner). 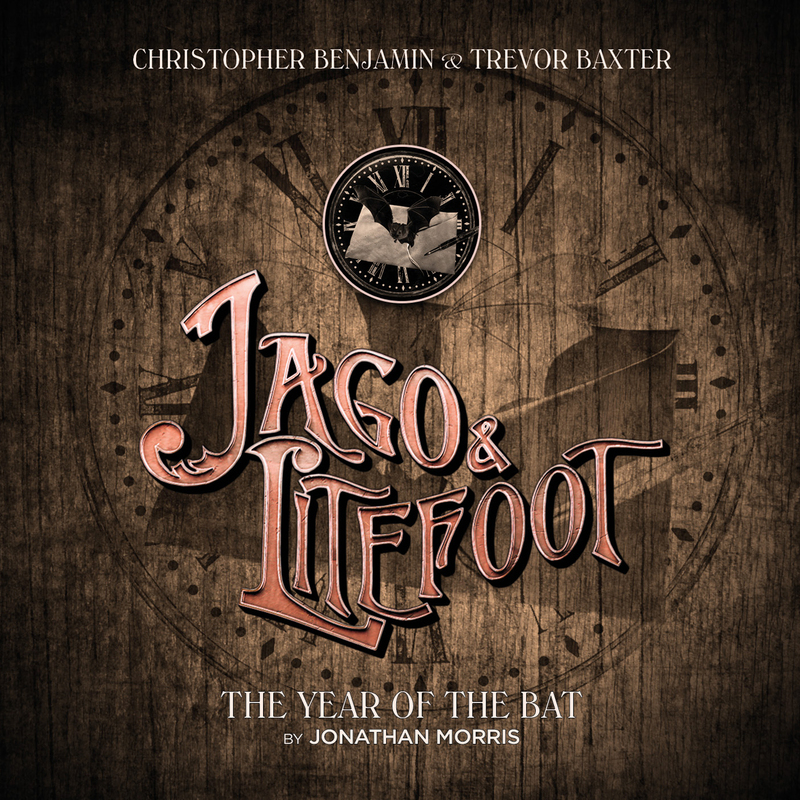 What treats are in store for Jago (Christopher Benjamin) and Litefoot (Trevor Baxter) this time? 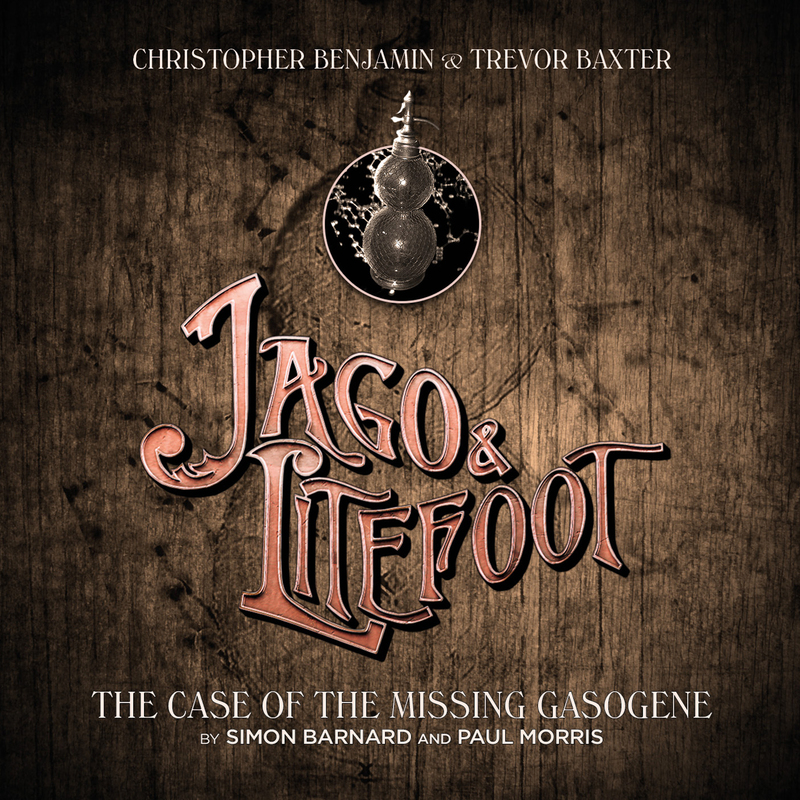 Simon Barnard and Paul Morris kicked the set off with the wonderfully titled The Case of the Missing Gasogene. Not only did this have to tell a great story but also introduce a new character for this set, Carruthers Summerton (Toby Hadoke), the official biographer to Jago & Litefoot! The story is a good one, even without Carruthers; both the main characters have a thread to follow and the action entertains and also feels fresh. The title first: a gasogene is what we might more normally call a soda syphon (of sorts). There is a solid Jekyll and Hyde type story with a very Jago & Litefoot twist. Next up Jonathan Morris and The Year of the Bat. I sometimes don’t find the second story of boxsets hits the mark for me; this is an exception. It is amusing and clever, and unlike a certain recent episode of TV Doctor Who (I mean you, Before the Flood) doesn’t patronise with its explanation of the bootstrap paradox. I assume Mr Morris got the title from the Al Stewart album Year of the Cat. The story is easy to summarise: imagine Mary Poppins with vampires in a Jago & Litefoot style. 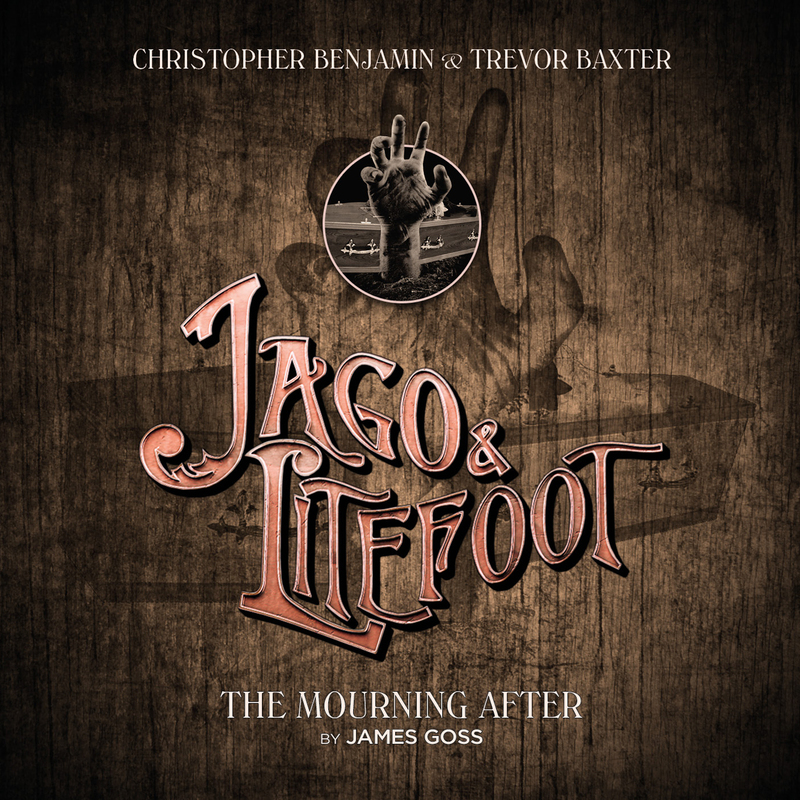 Add to this a time travel twist where Jago and Litefoot interact with younger versions of themselves (played by Alex Lowe and Blake Riston). A great story! Bad news, Jago is dead and it’s his funeral. Enter Dr Betterman who once again becomes an easy target for suspicions. Meanwhile Jago is in a nightmare and can only escape by sharing details of his past adventures. While the story is easy to describe, it has a lot more going on under the surface, including the wake at the Red Lion, giving Ellie Higson (Lisa Bowerman) plenty to do. Of course there is a deeper intrigue at work here, and all ends well as the action dovetails into the finalé! 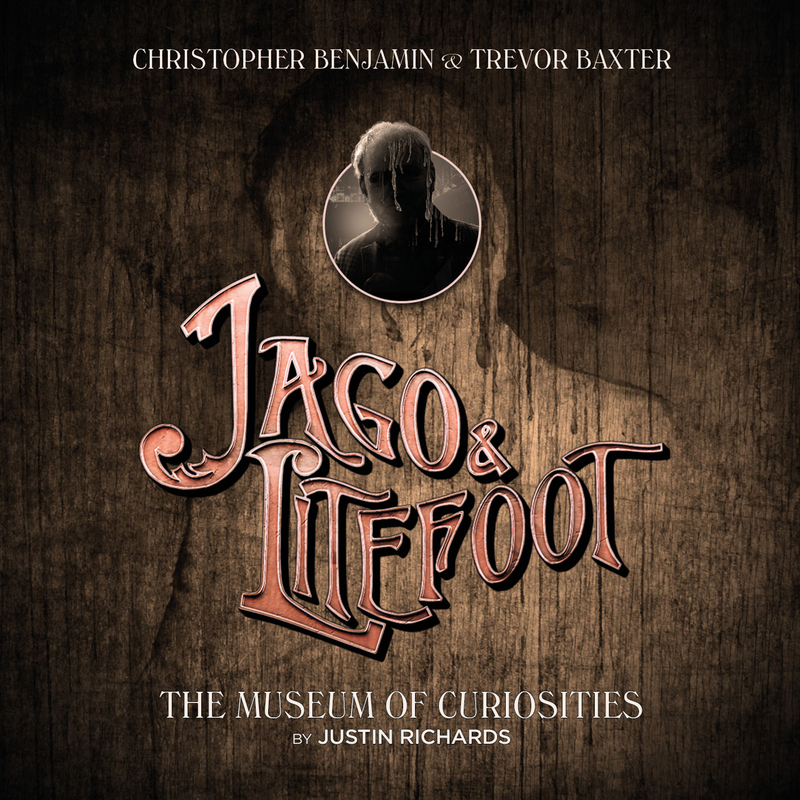 Justin Richards (as he does) ends the set with The Museum of Curiosities. Now Carruthers is everywhere and as a listener it seems obvious from the start he must be a villain. There is some attempt to frame Dr Betterman but it never convinces. To be fair, neither Jago, nor Litefoot is fooled very long and we find out what Carruthers is really up to. Before it all ends, we do get a spin through many of the stories from the previous boxsets (and even a snip of Torchies!) and this reminds us how much we have had before, and how good it still is. A well-balanced set of tales and even if Carruthers fools nobody, it doesn’t dilute the enjoyment. The extras fill in some gaps around James Goss’s story , and how the balance changed during writing. Hearing that it is easy to wonder if the third story could have been better, but that implies it had flaws. Yes, the premise of Jago being really dead is unlikely, but this is the nature of the beast. We don’t need to believe it might be true to be interested in the story. Many good parts, the vampire nannies were wonderful and I liked the idea of young Jago and Litefoot. Back in London, plenty to do and a massive surprise at the end. Series 11 can’t come too soon!